LG’s next flagship the G7 wasn’t announced at MWC 2018 as expected. Reports now have that the South Korean giant is going with a new moniker ThinQ and the long-awaited flagship will be called LG G7 ThinQ. 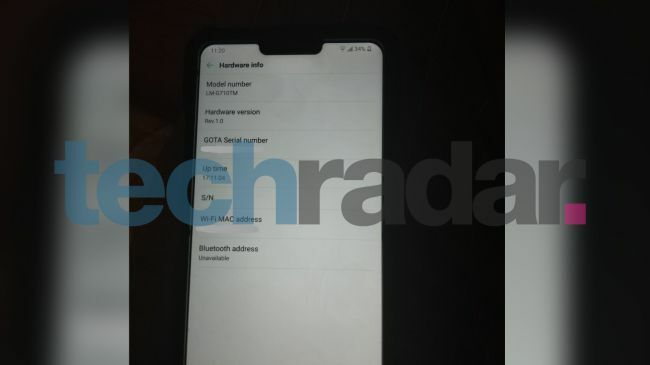 Details and key specs of the G7 ThinQ have now been revealed thanks to exclusive photos & screen grabs leaked to TechRadar. A 6.1-inch G7 ThinQ with model number LG-G710TM is rumoured to launch in May and appears to be in testing phase in the U.S. 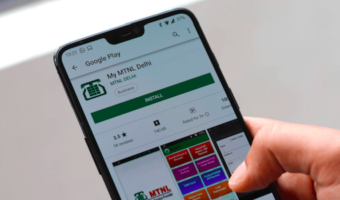 The highlight of the smartphone is the new full screen ‘bezel-less’ display with controversial screen notch, similar to the iPhone X. It houses the notification LED indicator and a selfie camera. 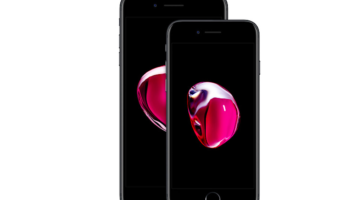 There are other big changes as far as the design of the phone is concerned. A power button flanks the right side of the display while on the left is a dedicated AI button. The leaked screengrabs revealed the LG G7 ThinQ shipping with the top of the range Qualcomm Snapdragon 845 SoC paired with 4GB of RAM, with just 64GB of internal storage. Other screengrabs show AnTuTu benchmark scores of the phone. Having a multi-core score of 252,473, the LG G7 ThinQ stacks up as one of the world’s fastest phone, bested only by the Sony Xperia XZ2. In addition, a 360-degree video of LG G7 renders courtesy OnLeaks who has partnered with Mr.Phone has surfaced online. The renders hint the handset will come with a metal frame that will have antenna lines. 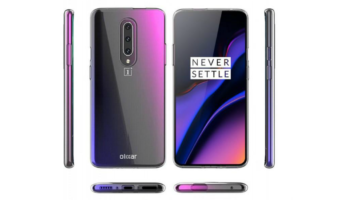 The front shows the all screen front with a notch while the rear panel has a vertically aligned dual camera setup along with a LED flash. There is also a fingerprint scanner on the back side of the phone. On the bottom left-side of the device sits a 3.5mm headphone jack, accompanied with a USB Type-C port and a loudspeaker grill. On the left, the renders show just one button that is said to be the power/ lock key. The right side sports three buttons, including a volume rocker and a suspicious key that could allow access to a dedicated personal assistant. 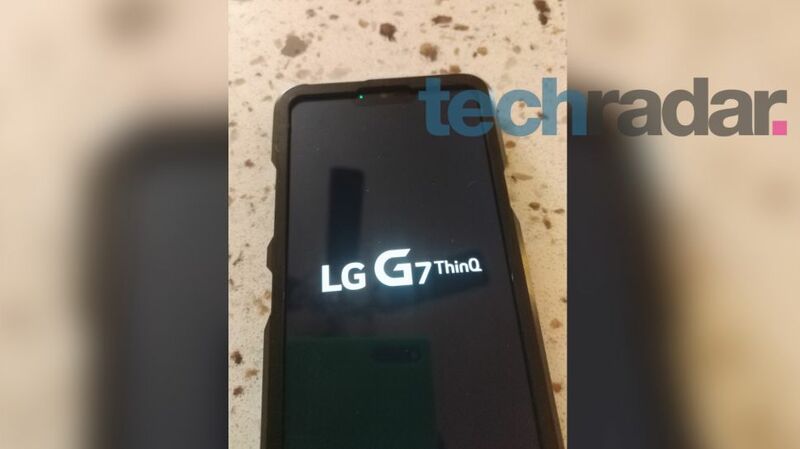 More information on the alleged G7 ThinQ might emerge in upcoming days. With May release date rumours turn out to be true, LG may confirm the same by April end.